The two massive stony hands emerging from the mountains of central Vietnam may look mossy and cracked like ancient ruins, but don’t be fooled: they’re brand-new wire mesh and fiberglass supports for a striking footbridge that opened in June. The Cau Vang, or “Golden Bridge,” soars 3,280 ft. above sea level in the Ba Na Hills, where it connects a cable-car station to popular nearby gardens. 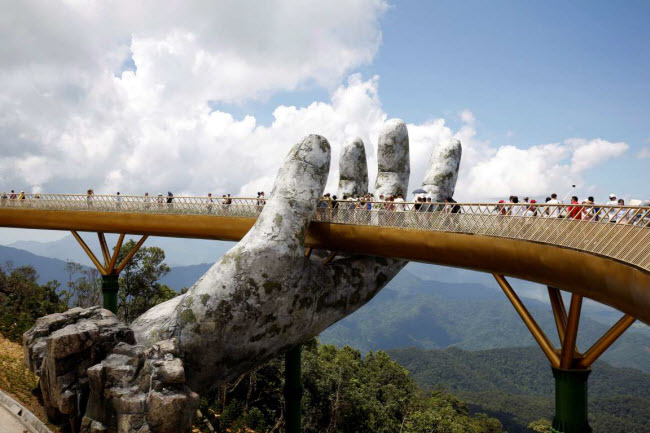 The structure itself is made of timber with stainless-steel railings treated to appear gold; TA Landscape Architecture, the Ho Chi Minh City–based firm that led the bridge’s design, has likened it to the “giant hands of Gods” cradling a golden thread. The 500-ft.-long expanse gives visitors plenty of space to take in the scenic views. It’s all part of an effort to bring more tourists to the country. 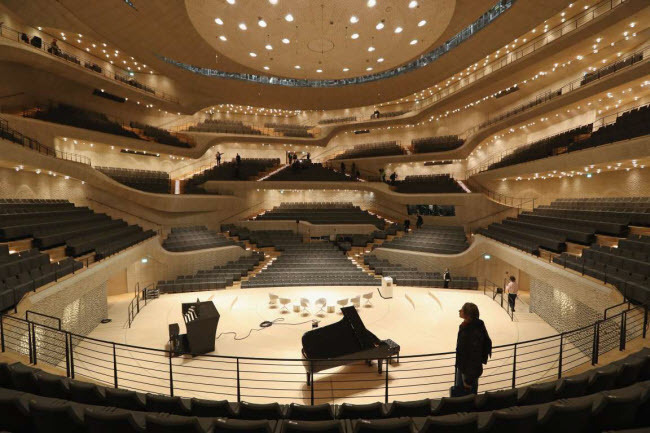 As visually striking as the Herzog and de Meuron–designed concert hall is—a glass tower perched atop a giant brick warehouse, surrounded on three sides by water—it’s the acoustics that steal the show at Elphi (as the locals call it), which opened in 2017. The central auditorium is covered in 10,000 gypsum-fiber white acoustic panels, each with a unique series of divots that scatter or absorb sound. No two panels are alike, but together the undulating, interlocking panels create an optimal sound map across the entire auditorium. The result is a richer, better sound for those occupying the 2,150 seats surrounding the stage. While on a family vacation in 2006, Gordon Hartman took his daughter Morgan to a hotel swimming pool. Morgan, who was born with physical and cognitive disabilities, wanted to play with some kids nearby, but when she inched over to them, they scrambled out of the pool. “Her look of disappointment stuck with me,” says Hartman. “My wife and I asked each other: Where can Morgan go and really play?” Hartman, a successful home builder who retired at age 41, decided to answer the question himself by building a theme park, Morgan’s Wonderland, which opened in 2010, and a companion water park, which opened in the spring of 2017. 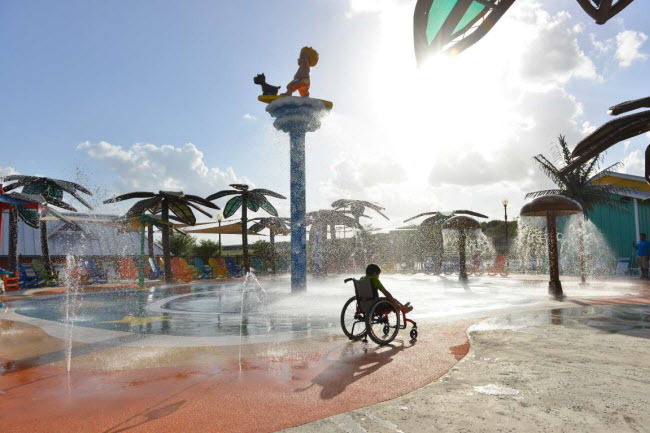 The words ultra-accessible guided the park’s design, from wheelchairs that are waterproof and powered by compressed air to water areas that are set to different temperatures, for those who can’t handle the cold. “Everybody can join together in play,” Hartman says, noting that many park­goers don’t have special needs at all. Walking on water may elude most of us, but this bike trail in northern Belgium offers an experience that’s almost as divine. 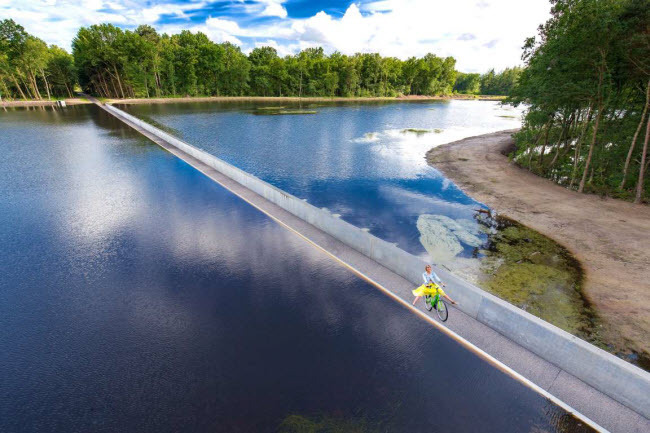 The 212-m track, dubbed “Cycling Through Water,” slices through a large pond in the De Wijers nature reserve; in the middle, it dips low enough to put riders at eye level with the water. The project, which was completed in 2016, is part of the Limburg province’s efforts to bolster its 1,240 miles of biking trails. “We do not want to create more miles, we want to create better miles,” says Igor Philtjens of Toerisme Limburg, the project developer. To date, Cycling Through Water has attracted more than 500,000 bikers. 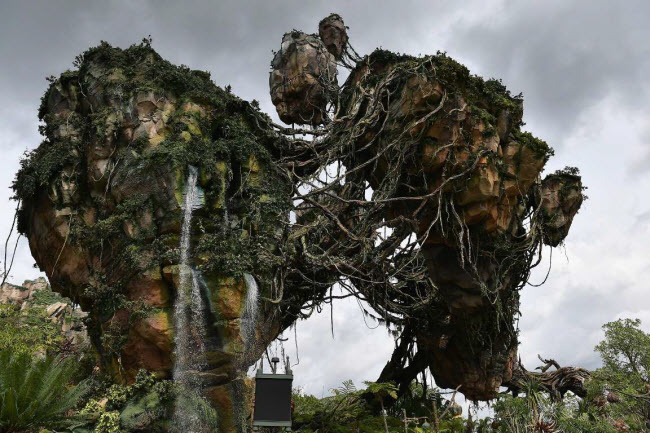 Just as James Cameron’s sci-fi epic Avatar marked a new level of technological innovation for movies, so too is Pandora: The World of Avatar reinventing the modern theme park. Among its other­worldly attractions: an animatronic character that’s “as lifelike as possible” and a botanical garden that glows with neon after sunset. The park’s flagship is Flight of Passage, a ride that combines 3-D projections and virtual reality to create the illusion that guests are flying atop a living, breathing mountain banshee (a creature that figures prominently in Cameron’s mythical universe). The park says it’s the highest-rated attraction at Walt Disney World, per guest surveys. 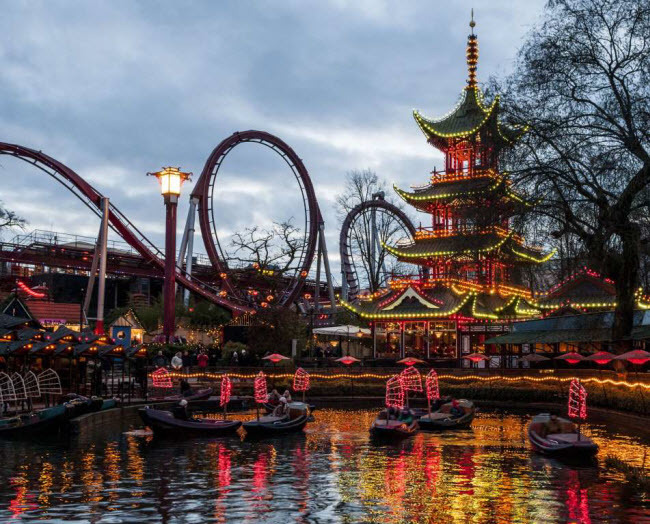 Tivoli Gardens, the world’s third-oldest theme park, first opened in 1843. But it continues to innovate—most notably with the Fatamorgana, a first-of-its-kind 148-ft. tower that’s actually three rides in one. 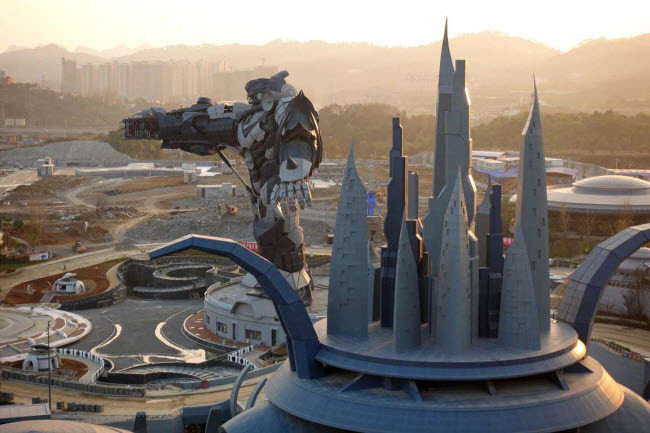 The tower spins at two speeds (one for dizzying thrills, one for scenic views), and at its base are bumper cars. It’s one of several attractions Tivoli has opened in advance of its 175th anniversary. Indonesia’s famously vibrant modern-art scene finally has the home it deserves. Museum MACAN—a contraction of Modern and Contemporary Art in Nusantara, a suburb of the Indonesian capital—sprawls over 43,000 sq. ft. and showcases local talent, such as painter and performance artist Tisna Sanjaya and woodwork specialist Gatot Indrajati, alongside international icons such as Japan’s Yayoi Kusama and China’s Ai Weiwei. 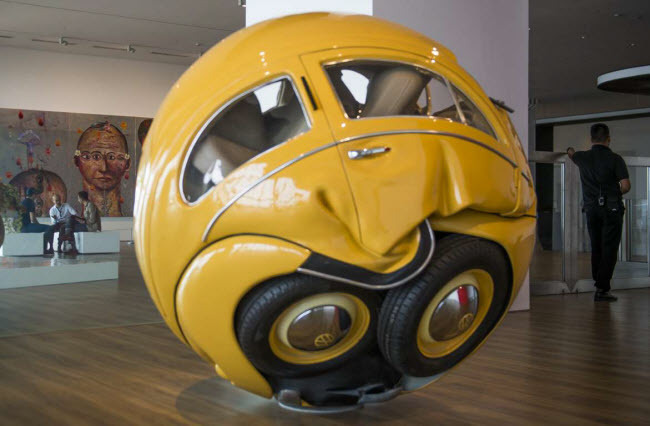 Most of the art comes from the personal trove of Haryanto Adikoesoemo, a prominent local collector and businessman. In order to extend its remit, the facility, which opened in November 2017, also does community outreach, offering resources to teachers to talk to students about art. 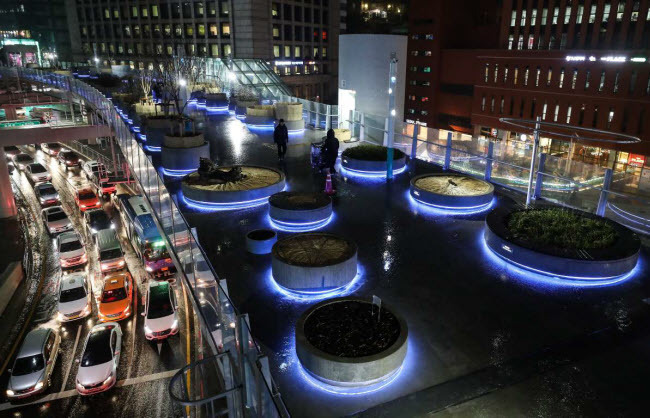 Snaking above Seoul’s thoroughfares is Seoullo 7017 Skygarden, a new pedestrian walkway reborn from a former highway overpass, much in the vein of New York City’s High Line. Its 17 sections feature family-friendly cafés, gardens and even stations for relaxing foot baths. But the structure, designed by Dutch firm MVRDV, is arguably more stunning at night, when illuminated pillars transform it into a glowing ribbon of purple. 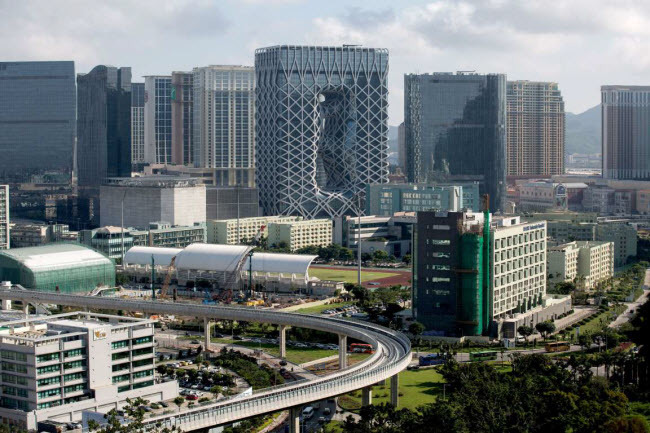 Hong Kong’s largest-ever restoration project, which opened this summer, is a complex of 16 former police and judicial buildings—some of them 150 years old and all relics from Hong Kong’s days as a British crown colony—­revitalized as a complex for the city’s arts and culture. Visitors can have a drink in the former jail or watch a Shakespeare play in a onetime prison yard, among other activities. 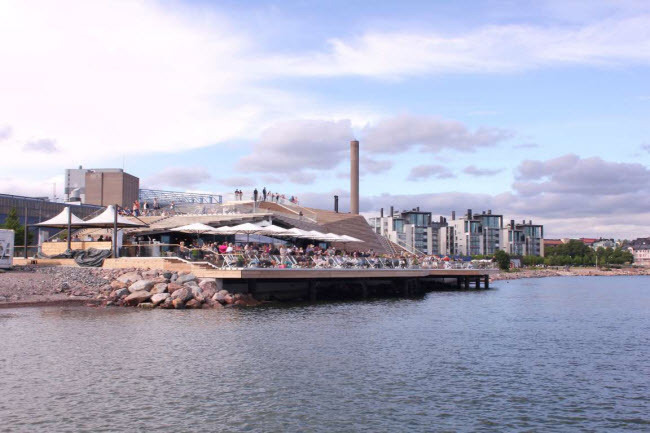 “There’s nothing more Finnish than a sauna,” says Jasper Pääkkönen, co-founder of Löyly, which opened in 2016 and is the leading place to perspire in a city spoiled for choice. The striking waterfront facility uses wind and solar power, as well as sustainably sourced timber; its draw is similarly au naturel. “There’s no hierarchies” in a sauna “because you’re at your barest - literally,” Pääkkönen says. A two-hour session costs $22. This 290,000-sq-ft. marketplace is an exemplar of upcycling, featuring stalls, a cinema and eateries made from salvaged zinc panels and old doors. 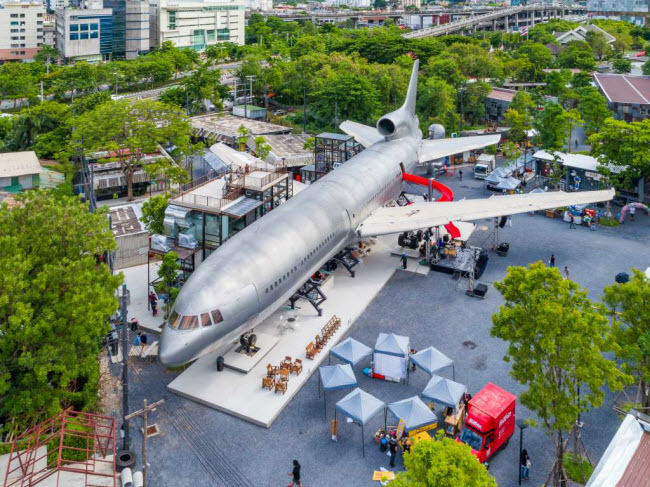 There’s even a fine-dining restaurant housed in a disused Thai jet. “I believe that nothing is useless if creativity is applied,” says founder Somchai Songwatana. Since opening in June 2017, the attraction has lured almost a million visitors. Great fortunes like to associate themselves with great art, but the United Arab Emirates has mostly channeled its spectacular wealth into spectacular structures, man-made islands and signature skyscrapers, often built by migrant laborers working in dubious conditions. All that applies to the Louvre Abu Dhabi, which opened in 2017. 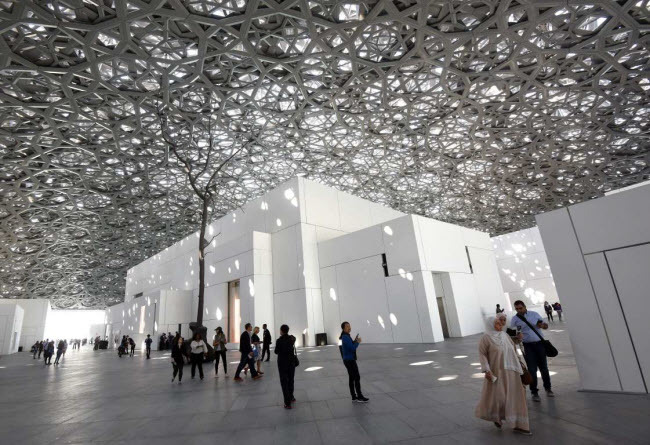 Its larger aim, however, is as lofty as the $1 billion paid to the Paris original for the name and contents—namely, to turn Abu Dhabi into a cultural capital. 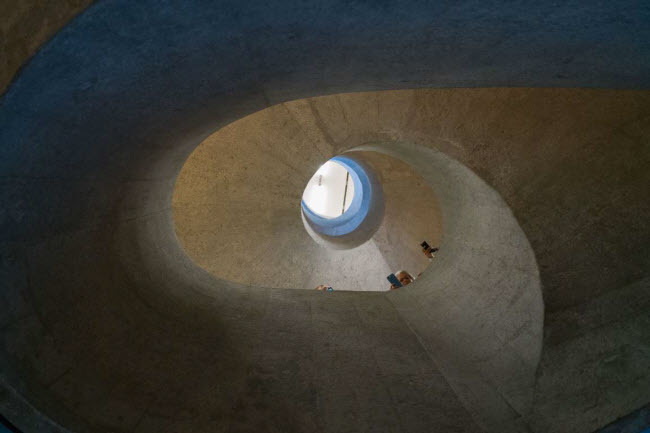 It helps that the Monets and van Goghs are displayed in a Jean Nouvel–designed complex that is itself a work of art. Its signature feature: an aluminum dome comprising 7,850 stars that do with light and shadow what palm trees do in a more traditional oasis. Its striking forms rise 295 ft. from the desert, but this is no mirage. 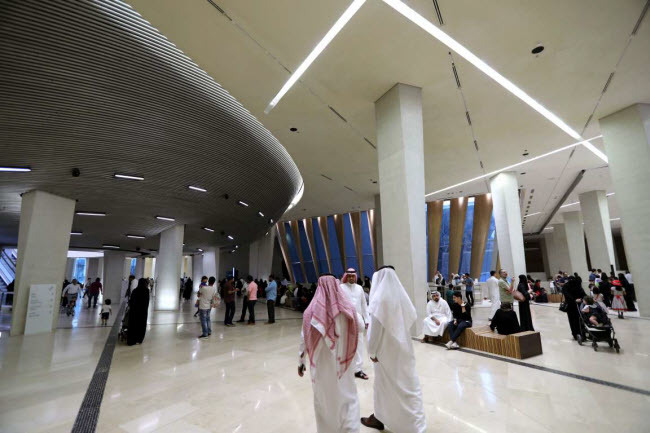 The new King Abdulaziz Center, also known as Ithra, is a cultural hub that reflects “the changes sweeping Saudi Arabia,” says director Ali al-Mutairi. 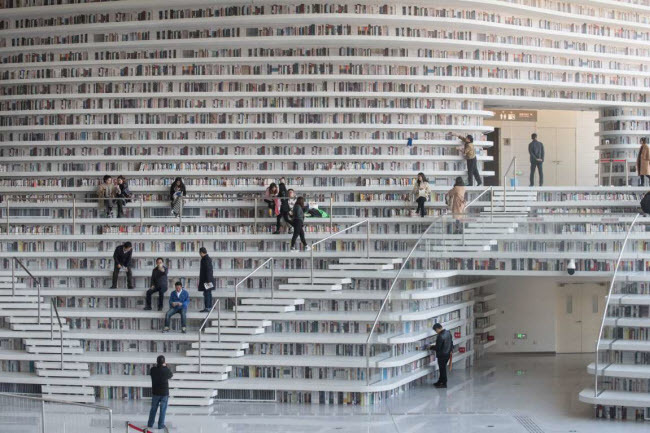 Designed by Norwegian firm Snohetta, the center houses an auditorium, exhibition halls and a library of some 200,000 books. Huge public parks were a main feature of Soviet cities, central but also stately and formal - nothing like Zaryadye, Moscow’s first new large-scale public park in 50 years. 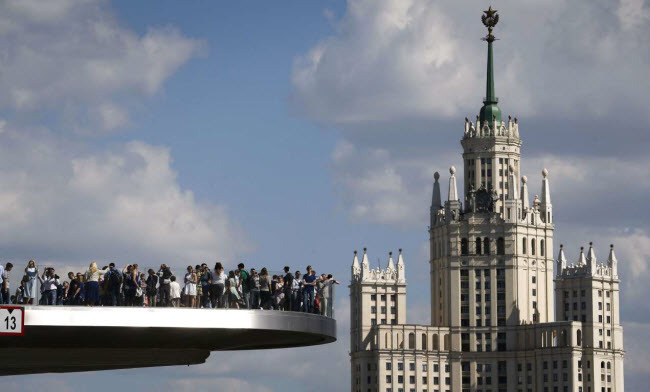 The design was led by Diller Scofidio + Renfro, the U.S. architects behind New York City’s High Line, in collaboration with Hargreaves Associates and Citymakers, and the park features a concert hall, an ice cave and a boomerang-shaped bridge cantilevered over the Moscow River. Nearly 10 million people have visited since its September 2017 opening. Kenya is known for its lions and big cats, while Botswana and South Africa are no-brainers for elephants. For gorillas, however, travelers can head to Rwanda, where the 35-year-old company Wilderness Safaris opened Bisate Lodge in June 2017. Comprising just six villas perched high above Volcanoes National Park, the lodge invites guests on daily treks where a face-to-face encounter with families of ambling primates is all but guaranteed - baby gorillas are known to reach out to touch visiting humans. 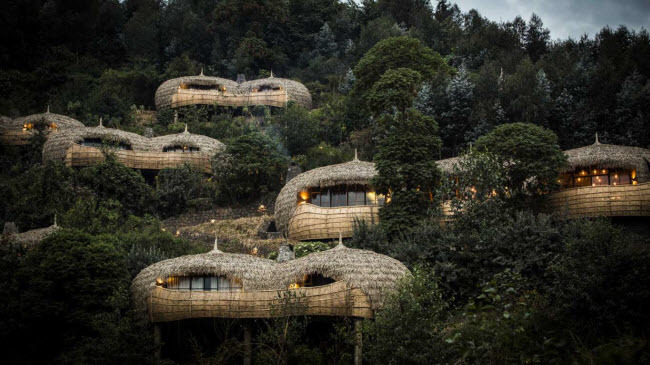 While stays aren’t cheap - they run from $1,150 to $1,650 per person per night - part of the rate goes to reforestation and conservation efforts, and the Rwandan government reserves 10% of wildlife permit fees, which are separate from the lodge fees, for contributions that go back to local villages. 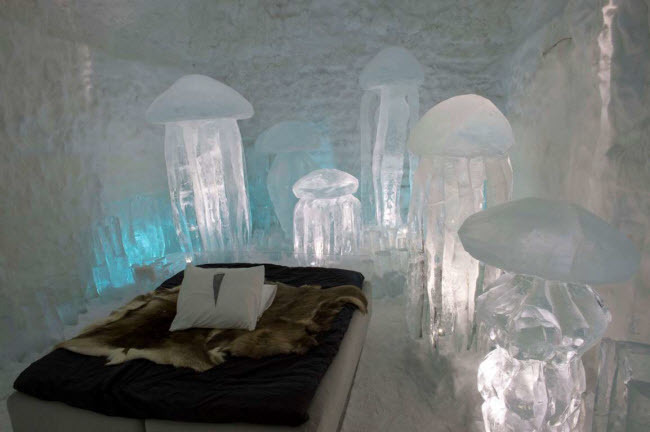 There’s no hotel quite like Sweden’s new Icehotel 365, whose suites—featuring ice sculptures of animals, staircases and more—remain open all year. To prevent melting, the structure relies on solar-powered controls, which keep temperatures at 23°F. By day, guests can unwind in a hot sauna or take a dogsled ride; by night, they can sip on arctic-inspired cocktails at the hotel bar, which is also made of ice. 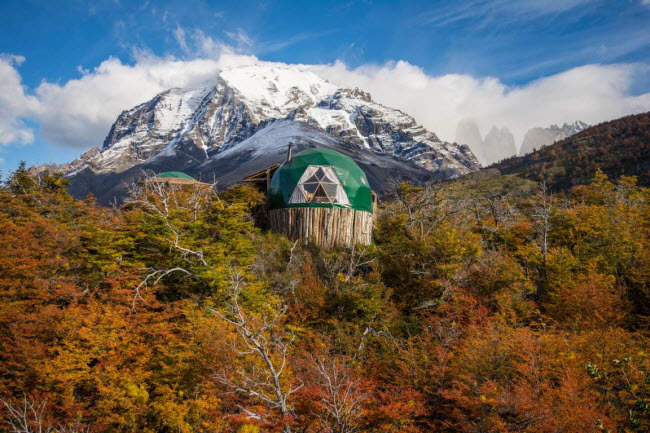 EcoCamp Patagonia has won raves since its 2001 opening for offering guests the ultimate glamping experience: by night, they sleep in luxe domes based on ancient nomadic designs; by day, they go on guided treks. More recently, the hotel - which is fully powered by renewable energy - has focused on inclusivity, adding hikes for visually impaired guests and an all-terrain wheelchair that can traverse the Patagonia landscape. Designed by the late Zaha Hadid, Morpheus is the world’s first free-form exoskeleton-bound high-rise: a grid of steel envelops 40 stories of glass with a fluidity inspired by Chinese jade carving. The interior is just as refined, with 770 rooms, a casino floor, high-roller facilities, a rooftop pool, a modern-art gallery and not one but two Alain Ducasse restaurants.